As the demand for bio fuels continues to grow, International Tank Service is ready to design, fabricate and build a custom API 650 storage tank for all your biodiesel and ethanol storage needs. 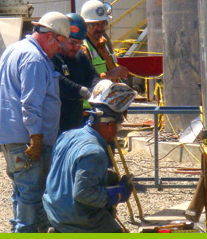 We have crews readily available to construct your API 650 ethanol tank or API 650 biodiesel tank. We specialize in designing and building the associated internal or external floating roofs that are typically used in biodiesel and ethanol tanks. We have built ethanol tanks for customers as large as 110’ x 48’ or 3,400,000 gallons. In addition to building API 650 biodiesel and ethanol tanks, International Tank Service can help with your API 653 Tank Inspections, API 653 Tank Repairs and Modifications, Paint, Tank Foundations, Tank Jacking and Tank Leveling. 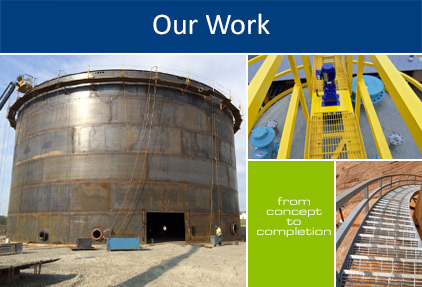 Give us a call today and let us know how we can help with your next tank project. As global warming worsens and our oil supply depletes biodiesel and ethanol will be the fuels of the future. They are both bio fuels, which are fuels produced from organic matter such as sugar cane, corn, high sugar crops, or high starch crops. Both biodiesel and ethanol are renewable fuels and are considered to be clean and friendly to the environment.